This topic guide has received extensive updates. Includes information on funding programs, the financial impact of telehealth, challenges related to telehealth services, telehealth’s role in healthcare access, and more! In rural Delta County, Colorado, behavioral health services were successfully integrated into physical health services for underserved children accessing a primary care clinic. A community consortium used grant-funding to expand cancer treatment services for residents in a 3-state, 8-county region in Appalachia. Apr 1, 2019 -- The Centers for Medicare and Medicaid Services (CMS) announces updates to Medicare Advantage and Part D plans offering more choices and supplemental benefits. Some actions target the opioid crisis and some benefits target social determinants of health, such as providing transportation for grocery shopping to increase access to healthy food. Apr 1, 2019 -- A new study published in Health Affairs found that increased Medicaid coverage in West Virginia correlated with an increase in diagnosis and treatment for opioid use disorder. West Virginia had the highest rate of deaths related to drug overdoses in the U.S. in 2017. Apr 1, 2019 -- The Federal Communications Commission (FCC) is seeking input on its Wireless Resiliency Cooperative Framework, which is intended to improve communications during disasters. They are particularly interested in feedback from people who used the Framework during the 2017 and 2018 Atlantic hurricane seasons. Mar 29, 2019 -- Legislation reintroduced to the U.S. Senate would extend the Conrad State 30 Program, encouraging international physicians to practice in rural and underserved areas after completing their residencies in the U.S. The program is currently slated to expire later this year; the Conrad State 30 & Physician Access Act would extend it to 2021. Mar 29, 2019 -- The Independent Television Service (ITVS) announces the premiere of The Providers on April 8, 2019. The documentary will highlight the physician shortage in rural America and the opioid epidemic. The film underscores the power of the patient-provider relationship by following the journeys of three safety-net healthcare providers and their patients in rural New Mexico. Mar 29, 2019 -- The University of Arkansas System Division of Agriculture offers a Farm Stress program aimed at improving farmer mental health and will be offering Mental Health First Aid training for county and state staff to help them identify and respond to mental health issues and reduce suicide in the agricultural community. 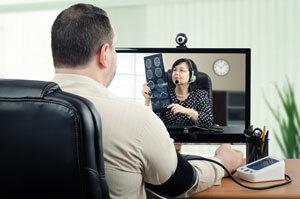 Mar 29, 2019 -- The Department of Veterans Affairs (VA) is using telehealth to connect Veterans to care, particularly in rural areas, and requested a 10.5% budget increase as part of a 5-year plan to expand access using telehealth and app-based video visits. Mar 28, 2019 -- Telemedicine is helping North Dakota recruit psychiatrists to provide services in rural areas of the state, no matter their location of residence. The medical school is training psychiatry residents to use the technology and its use in the state is spreading - almost 25% of the state's psychiatrists have delivered a telemental health visit. Mar 28, 2019 -- Shares lessons learned from coordinating a rural Wisconsin community's response to a 2007 tornado and the recent roof collapse of Wolf River's fire station. Grants for the development and operation of nonprofit, nongovernmental tribal domestic violence and sexual assault coalitions. Supplemental funding to existing Health Center Program operational grant award recipients to increase access to high quality integrated behavioral health services, including prevention or treatment of mental health conditions and/or substance use disorders, including opioid use disorder. Grants to intermediary organizations to provide technical assistance and training for rural organizations and agencies to identify and plan for community facility needs that exist in their area, and once those needs have been identified, locating public and private resources to finance those identified needs. Priority will be given to applications that address USDA's goal to reduce the morbidity and mortality associated with Substance Use Disorder (including opioid misuse) in high-risk rural communities. Reports on clinician experience participating in the first year of the Quality Payment Program, which provides clinicians with quality-related payment adjustments through either the Merit-based Incentive Payment System (MIPS) or the Advanced Alternative Payment Models (APMs). Includes discussions related to program design for rural practices, data on eligibility and participation for small and rural practice clinicians, and their payment adjustment scores. Final report recommending how to measure healthcare performance in low case-volume situations, such as rural providers. Reviews existing and proposed low-volume healthcare quality measures, how measures are calculated, data use, and data analysis techniques. Focuses on Centers for Medicare and Medicaid Services (CMS) quality programs reporting requirements. Describes the two main sources of funds, Medicaid and Section 330 grant funding, that enable community health centers to provide healthcare services for underserved rural and urban populations in the U.S. Discusses Medicaid's special payment rules for community health centers, the role of Section 330 funding, and the expansion of community health centers due to funding increases. Reports summary information on disability rates among farmers and farmworkers between 2008 and 2016. Includes some state-specific information. White paper exploring changes in healthcare utilization, demographic and geographic factors, diagnoses, costs, and procedures. Features statistics including usage of retail clinics and telehealth from 2012-2017, and urgent care, ambulatory surgery centers, and emergency rooms from 2008-2017, with breakdowns by urban and rural locations. 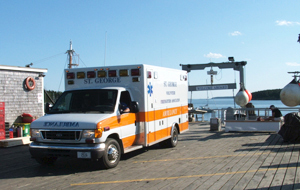 Provides data on ambulatory care emergency department (ED) hospital visits. Table 1 provides metropolitan/nonmetropolitan ED visit data based on hospital location, Table 2 includes metro/nonmetro ED visit data by location of patient residence, and Table 14 has metro/nonmetro injury visit data based on hospital location. Provides an overview of the first community cafe sponsored by the Petersburg Medical Center (PMC) in Petersburg, Alaska and facilitated by the Alaska State Office of Rural Health (AK-SORH). Covers the thought process behind the AK-SORH's idea to facilitate community cafes across the state. Describes the goals of community cafes: to educate and receive feedback on a topic chosen by the community, and learn more about the community's health needs. Report details recommendations from the American College of Obstetricians and Gynecologists to the Indian Health Service on best practices for treating pregnant American Indian and Alaska Native women with opioid use disorder (OUD). Discusses screening for OUD, medication-assisted treatment (MAT), and care integration, among other factors. Assesses the proportion of people taking antihypertensive medicine, the rates of adherence to these regimens, and the costs. Features demographic statistics with breakdowns by urban or rural location. Examines trends in homelessness among rural students, which may contribute to disparities in health and academic outcomes. Explores challenges in identifying and supporting homeless families, funding in rural schools, and obstacles facing homeless rural students. Features statistics including percent change in number of homeless students from school years 2013-2014 to 2016-2017 in select states, with breakdowns by rural or nonrural locations. National Rural Recruitment & Retention Network, New Mexico Department of Health, New Mexico Health Resources, Inc.